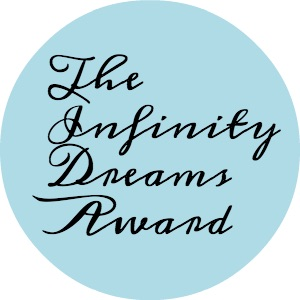 It was such an honor to be nominated by Anna of Lifebellissima.com for the Infinity Dreams Award! It’s always a joy to find out I had been nominated for an award ! Thank you so much, Anna and I must apologize for the delay with witch I come back with a post regarding the award ! If you’re not following her blog, then you are really missing out. She has a blog full of recipes, life stories, book reviews and much more interesting posts. Her blog : Lifebellissima.com is a must visit ! I’m a little clumsy; always tripping and spilling something. I love to travel, to meet new people and to learn interesting things about different cultures. I love to dance. If I go to a club I can dance all night . I would love to have a small dessert shop where I would have my place for baking and also presenting my creations to the world. I love the beach….my dream is to live somewhere where is warm all year long near a beach. Favorite meal to cook for family and friends? – I don’t have a favorite meal, I love to cook for my family and friends whenever I have a chance. A favorite movie or book? – The Notebook – movie . Something you enjoy about each season? If you had free airline tickets, where would you travel? What is the best advice you would give someone writing their first blog? Favorite season (the weather kind) ? Favorite hobbies that don’t involve reading or writing? Describe the best day of your life . What sort of food represents you and why? What’s your favorite social media to use? Where are you from and what’s the weather like? What do you know about Romania 🙂 ? I’d love for you to participate, but there’s no pressure. Happy cooking !!! Congratulations on your award Anita! I have nominated you for the three day quote challenge. Please don’t feel obligated to participate. If you are interested, the information is on my homepage. Happy Tuesday!